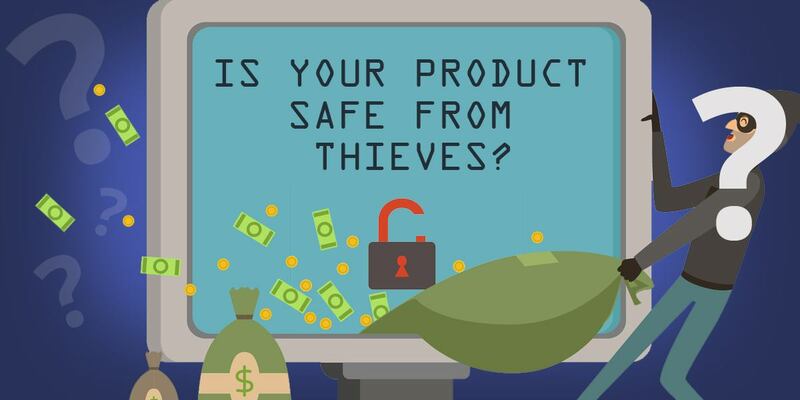 Do you ever think… “Is my product safe from thieves?” If you don’t, you should. Honestly, what is the biggest threat to your digital product business? Well, first of all… it’s not your competition, they aren’t stealing from you because all you need is a little savvy marketing to set yourself apart and grab a bigger market share than them. A good USP (unique selling proposition) and solid branding can go a long way in developing “top of mind” awareness in your niche and boosting sales. The biggest threat to your business is not lack of tech experience either, because there are plenty of tools out there that cater to business owners with various skill levels and experience. Even a complete technophobe can do a lot of highly technical tasks simply by using the user-friendly tools available. And if all else fails, you can certainly hire someone to take care of all your tech tasks. The biggest threat isn’t even poor sales, because there are ways to fix that problem. You can do your market research. You can craft better sales copy. You can even test and track all your sales letters and ad campaigns to be sure you optimize your profits. So what’s the biggest threat? The answer: theft. So, yes ask yourself if your product is safe because it probably is not. The reason this is such a big threat is because digital-product theft comes in many forms. These are the “customers” (and I use that term lightly) who buy your product with the full intention of asking for a refund… and then continuing to use the product. So in essence, they initially access your product completely legally following a sale. But once they ask for a refund with the full intention of continuing to use the product, then they’ve crossed the line from “customer” to thief. People who illegally accesses and/or share download page links. The thief who “hacks” your download page link, or perhaps simply guesses it, and then has access to your product. The thief who legally (via a purchase) or illegally (via hacking/guessing) accesses your download page, and then shares the download link with others. The thief who shares a download link that was shared by someone else. This person isn’t the original thief. Instead, they see your download link posted on a black hat forum group, and they pass it along to other groups and forums. Taking a good look at your traffic logs will uncover this thief, as you’ll see more traffic than you have actual customers. And unprotected download/delivery pages leave you wide open to this sort of theft and abuse. People who share/pirate products. Rather than sharing the delivery page, these folks share the product directly. Again, the people who do this may have accessed the product initially either legally (through making a purchase, with or without refunding), or illegally (by hacking or guessing the download page, or by simply sharing a product that someone else gave to them. In some cases, a person who receives the product may not even necessarily know they’ve received a stolen/pirated product. Obviously, those who are members of black hat groups are fully aware that any products they receive are stolen. However, sometimes a friend “innocently” passes a product along to another friend. The end result is the same – it’s theft, even if the participating parties don’t view it that way. So How Do Your Protect Yourself? This is where you need to walk a fine line between protecting your content, while also making it relatively easy for your real customers to access the content that they’ve paid for. For example, let’s suppose you lock your ebooks down so tight that they can only be accessed by paying customers with usernames and passwords. Now in order to make a system like this work, your customers would need to be online in order to access their product. But not everyone has access to the internet every time they want to read your ebook. Well you know what? That kind of set up is going to upset a lot of your legitimate customers. And that may be too big of a price to pay to totally thwart digital thieves. Because what good is totally locked down content if your customers are upset? So, you need to be selective about what sort of protections you put in place. Lock down membership sites. People expect to log into membership sites, so this is one product where you’ll want to require usernames and passwords in order to access the content. When people cancel their subscriptions or ask for refunds, your product delivery system should automatically revoke access to the site. License and restrict access to apps. Another product where people are used to having limitations are software products. This includes both downloadable software which you license, or SaaS where you ask that people log in to use the service. When people cancel their subscription, or ask for a refund, you should be able to revoke access to the app or service. Use expiring download links. This is a great way to protect against thieves who share download links. With this protection in place, download links are only available for a set amount of time after a sale. The idea is to give the customer plenty of time to collect their purchase, yet they can’t freely share the download link since it will expire shortly and lead to a “page not found” or similar error. As you can see, you need to tailor your protection according to what type of product you’re offering. 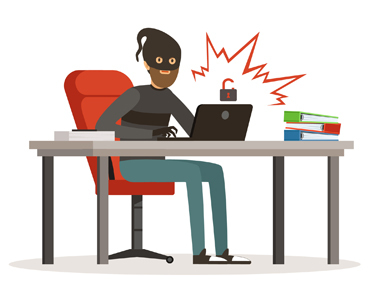 You need to be able to protect against theft, while still providing relative ease-of-access to your legitimate customers. Now the good news is that you can install all these levels of protection with just one delivery platform: Product Dyno. Product Dyno is a platform that allows you to securely deliver all your digital products to customers, plus it makes product management and service integration easy. To find out how to overcome the other issues that can lead to poor sales, go to our post “Three Biggest Problems Selling Digital Products…SOLVED!” just click the button below. And do it today because thieves could be stealing you blind!